An electric fence must to be taut to be effective - you need strong posts at the ends and corners, and tough stakes in between. 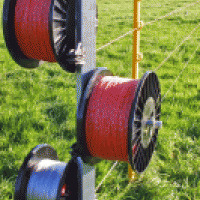 All our electric fencing posts and stakes are built for strength, and will last even in the toughest conditions. 10mm steel stakes for semi-permanent electric fencing or for use with heavier steel wire. The double spike is easier to drive into hard or stony ground than conventional arrow-style ends, and makes them far more stable. 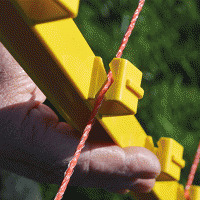 Plastic polystakes, or poly posts, are versatile and easy-to-use, requiring no insulators. 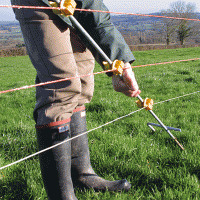 Our unique Superlite polystake is the only plastic electric fencing post to carry a two-year guarantee. 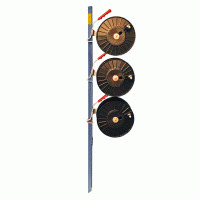 Made from galvanised steel for strength and durability, our hand reel posts are suitable for electric fencing for all livestock, including horses. Just slot the hand reel straight onto the integrated pins - no bolts or spanners required. A tough, galvanised steel reel post, designed to work seamlessly with the Rappa Fencing Machines and electric fencing reels. 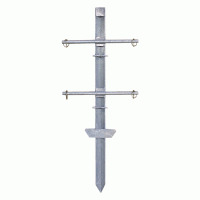 Use our heavy-duty steel anchor posts to begin your electric fence. They also serve as corner posts - simply slot the wire through the attached insulators and continue fencing. While electric netting will keep rabbits away from crops, it can be hard to maintain, and is not suitable for large fields. 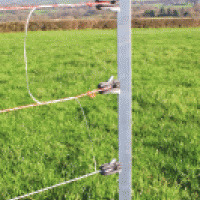 Our range of steel reel and anchor posts, all with pre-set spacings for rabbit control, will provide effective electric fence protection for both cereal and vegetable crops.